pooled budgets | En Avant! Bus services – a tale of three Englands? 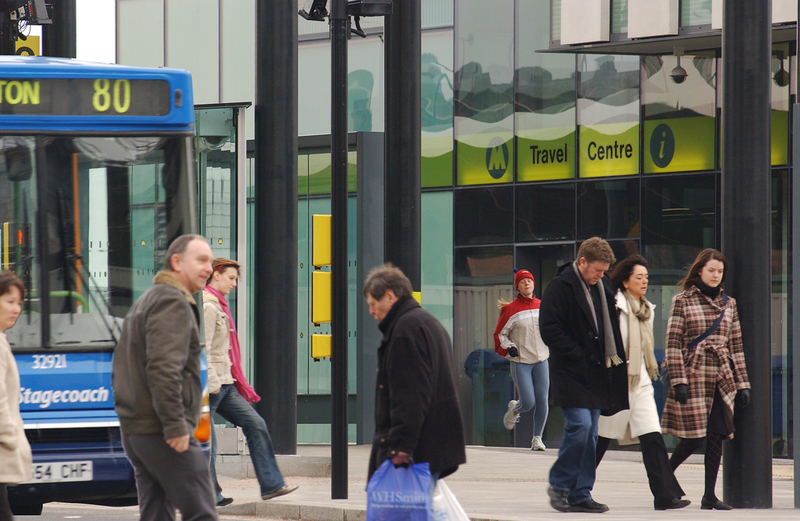 Is England split in three now as far as bus services are concerned? London – enjoying one of the best bus services on the planet. 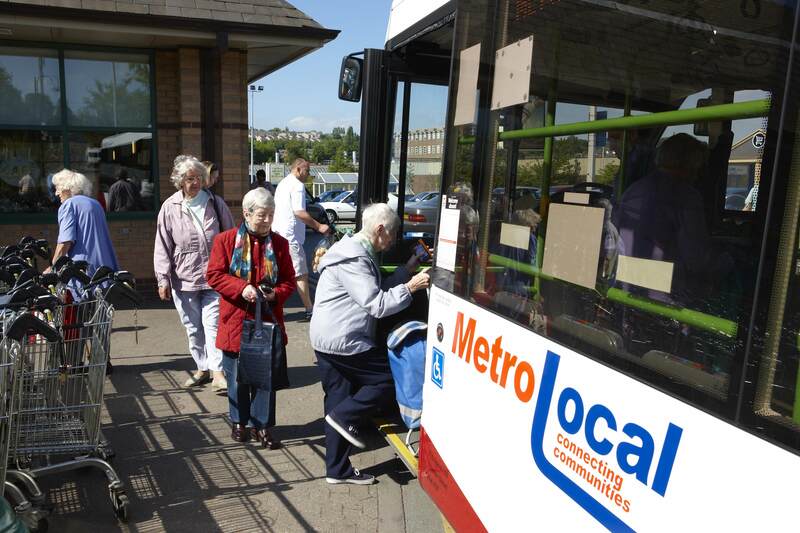 The Metropolitan and large urban areas – where the bus remains a player and so far cuts in supported services have been minimised. And then the rest – where for some time the bus has been left with a niche or safety net role – and where some local authorities have been in an indecent haste to cut off the remaining life support. Or is it two Englands? It’s a broad brush assessment and as such very open to critique. For example, what about the analysis that Stagecoach et al prefer which is that there’s two Englands. Down south you can hardly find a seat on a bus for the prosperous environmentally concerned citizenry who gave up their BMWs long ago in favour of the buzz they get from experiencing the joys of partnership-driven harmony. Meanwhile it remains grim up North as people continue to buy cars whilst frustratingly also continuing to cling to misguided ideas about public transport being an accountable public service. The counter-charge to this two Englands analysis would be that growth down south is from a low base with trips per head often low compared with the Mets. High parking charges and cramped street layouts in prosperous standalone cathedral cities are a big help too. Plus the scope for benevolent dictatorships of medium size bus operations which can focus on their neat and tidy markets very effectively – and often do. Meanwhile in Whitehall these kinds of analyses are usually besides the point. Here, it’s always a tale of two Englands – London, and then beyond that an undifferentiated tiresome mass / mess. For buses historically this has meant that policy has tended to fall back on the vague hand wringing hope that if only the unique circumstances of certain cathedral cities could be magically replicated across entirely different economic, social and transport geographies then everything would be fine. One policy size therefore fits all. Except for London of course. Well, because although any broad categorisation will be open to critique, it is clear that outside London bus services are not an undifferentiated mass and that the Government’s post-Competition Commission review of bus policy needs to recognise this. For example, in rural areas how long can we continue with a situation whereby the vast majority of shared and public transport is subsidised – but through different funding pots each with their own administrative costs? Already we are seeing moves to pool budgets on social services, healthcare, education and conventional public transport in parts of England. If you throw in the local branch line, and layer in community transport on top, you start to open up some exciting opportunities for single, cost-effective rural transport networks covered by integrated ticketing and branding. They’ve been doing this in parts of Europe for years. 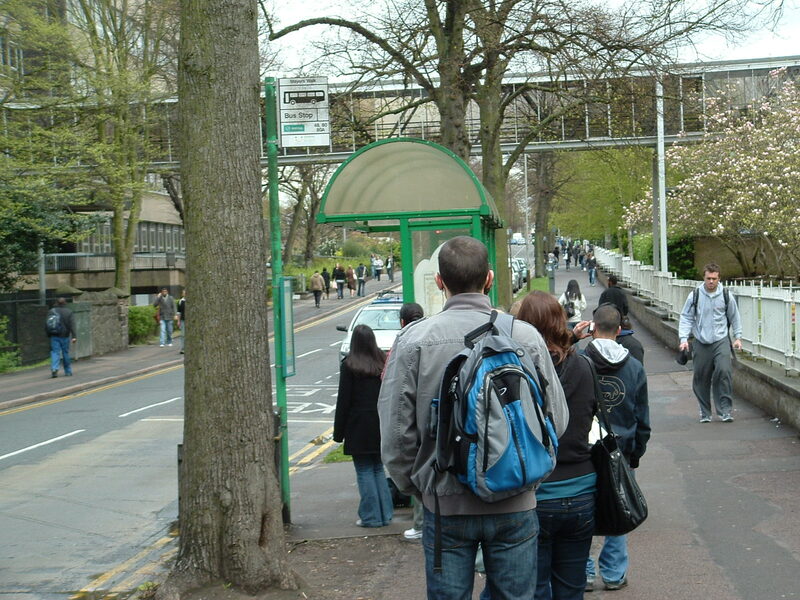 A DfT bus policy review could give this process a helping hand. In large urban areas and conurbations it should be about growth and integration with buses part of single urban public transport networks bound together through Oyster-style ticketing. In those smaller, standalone cathedral towns and cities where existing arrangements are working well – then why change it? And as for London – well it goes without saying that there’s no need for major policy change there. In short different Englands require different policy approaches on bus. The alternative is policy as usual leading to decline as usual. The recent analysis that we commissioned on the impact of policy as usual on the Metropolitan areas made for depressing reading in terms of patronage loss, fares increases and service decline. We are working to try to ensure these forecasts don’t come true but we can’t do it alone. We need a national bus policy that recognises the challenges and opportunities that the different Englands face. This matters for real people in these Englands because of the dire implications of getting it wrong for those who have no car and no voice. Like for those people who live on one of the most deprived estates in the country in Hartlepool on which there are no facilities and now no bus services either. So no transport to get to jobs, the shops or to the doctors (there’s a video on the Channel Four news website with some genuinely shocking interviews on what this means for people on the estate). Or for the people who are writing into Citizens Advice Bureaus in increasing numbers saying that their benefits have been docked because there’s no bus to get them to a job they’ve been offered. Or who may lose the job they already have because the bus service no longer makes shift work possible. These are the people who will lose out, and in anger and despair, and in ever greater numbers if we don’t get a policy on bus that works for these very different Englands. This article was first published in Coach and Bus Week. For anybody involved in the bus industry, the contribution that this mode of travel makes to people’s quality of life is plain to see. The bus is a gateway to opportunity for many people, especially the quarter of all households, and half of all those on the lowest incomes, without access to a car. Opportunity to work, play, learn and to stay healthy and happy. In making these connections, the bus plays a key role in achieving a wide variety of policy goals that extend far beyond the bounds of the transport sector. It can help tackle unemployment, for example, by connecting areas of worklessness to areas of job growth. Combined with fares initiatives, travel advice and information provision for jobseekers, the impact can be significant – in one such PTE-led scheme, 80 per cent of people said they would otherwise have struggled to reach job opportunities. The bus assists the health sector too. Missed outpatient appointments alone cost hospitals £600m a year. 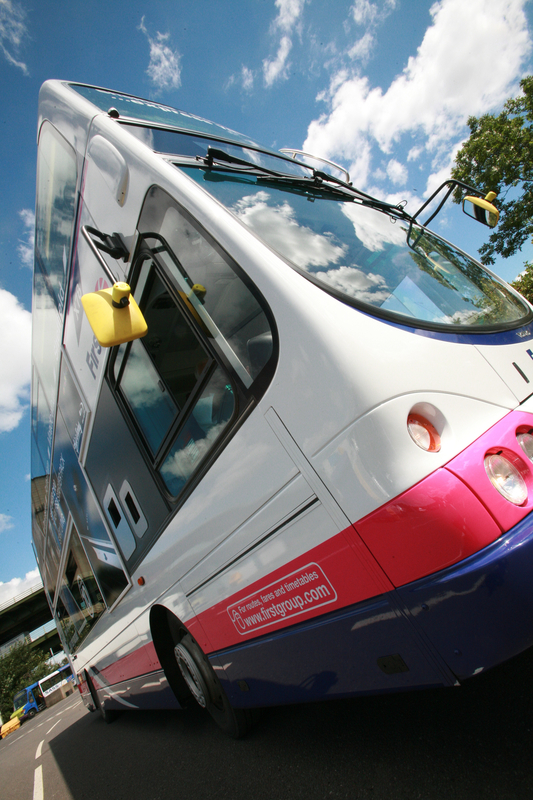 Just one new bus service, connecting disadvantaged communities in Wolverhampton to a specialist health centre, reduced non-attendance by 60 per cent. Social care is also a beneficiary. 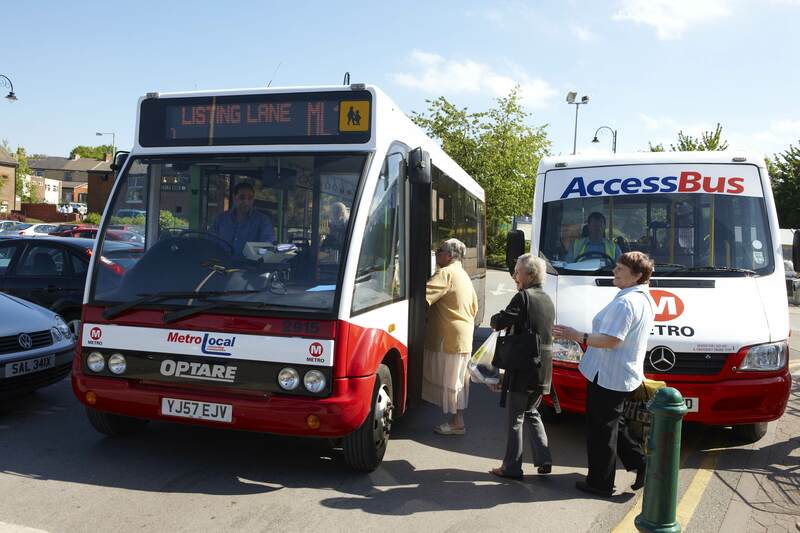 Bus services help older and disabled people retain their independence, enabling them to do their shopping, get to work and see friends and family without having to rely on others. Analysis shows that just one Ring and Ride service in the West Midlands saved the health sector at least £13.4m thanks to reduced need for care, home help and more costly transport options, such as taxis. 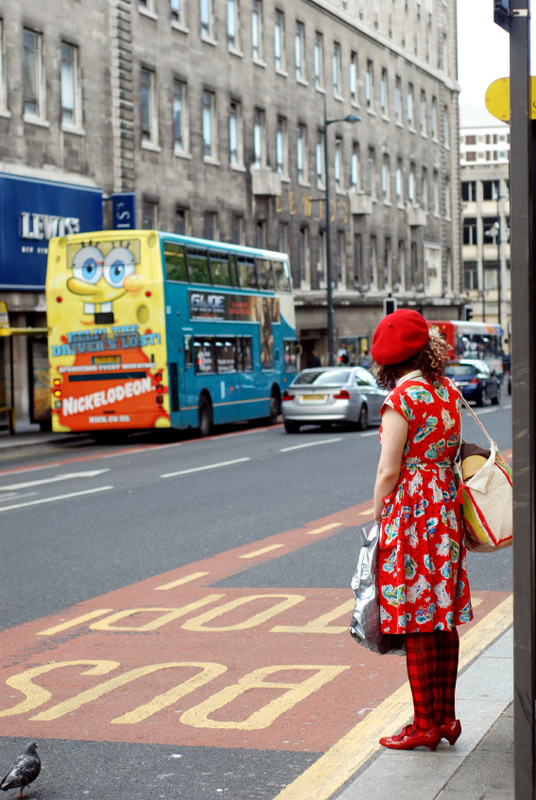 How can we ensure the vital, socially necessary role of the bus is maintained in light of cuts? The question is, how do we ensure that the vital and socially necessary role of the bus is maintained in light of cuts and spending restrictions that have hit the transport sector particularly hard? Our new report – ‘Total Transport – Working across sectors to achieve better outcomes’ – recommends that agencies across sectors with a stake in transport get together to pool their resources and expertise to deliver desired outcomes as efficiently as possible – a ‘Total Transport’ approach. Perhaps one of the most tangible ways in which we can move towards a Total Transport approach is by encouraging a more cross-sector, joined-up approach towards the funding and delivery of social needs transport. In most areas, alongside the mainstream bus network, there are also multiple fleets of vehicles running around performing various functions for different agencies. You have social services, education and patient transport fleets, for example, all with their own separate budgets and policies. Often these services overlap and duplicate one another in terms of their specification, clientele and route. They can also generate significant inefficiencies, with certain vehicles sitting underutilised in the garage for large parts of the day whilst elsewhere transport needs go unmet. With money tight and essential services under threat, these inefficiencies cannot be allowed to continue. An alternative, Total Transport approach would see these fleets brought together from across the various agencies and local authority departments into one shared pool under a single budget. The pool of vehicles would be coordinated and scheduled centrally, taking into account capacity on the mainstream network. Such a system would ensure the entire fleet is put to maximum use throughout the day and that the right vehicle is deployed for the right job. Experience from local authorities that have already moved towards an ‘Integrated Transport Unit’ suggests that efficiency benefits can run into the hundreds of thousands of pounds. Developing such a system is, of course, unlikely to be a straightforward task. Administrative difficulties, harmonisation of different working practices and negotiation of contractual relationships are just some of the challenges that may be encountered. However, there are a range of models already in operation, both here and abroad that can be drawn upon. Also, it is not necessary to move towards a fully centralised system straightaway. Efficiency gains can also be made by identifying synergies at a smaller scale – for example, by utilising the downtime of school buses to provide shopper services during the day or by working with health providers to plan concentrated health assessment days around times when fleets of accessible vehicles are otherwise underutilised. It’s about working together to make the very best use of the assets we already have in order to maintain as full a service as possible for the customer. By doing so we can ensure that the bus continues to help tackle unemployment and promote independence and access to services without placing undue financial strain on any one policy area. DfT have been sending out some clear messages recently that although the funding level for BSOG may be fixed – the way that it’s paid, and what it’s paid for – is not. Public money is a precious commodity these days and although the ‘could have been worse’ reductions in BSOG indicate that the bus is not quite the soft political touch it used to be, Ministers are not convinced that they are getting as much as they might do from a big block of cash that’s paid out on a largely flat and undifferentiated basis. Prior to the election a Per Passenger Incentive (PPI) option was where BSOG was headed. The now defunct CfIT were the main cheerleaders for it and threw a lot of resources at ‘proving’ the case. With CfIT gone the doubts have crept in over a system that could have incentivised operators to attract more concessionary travellers in the off-peak. For the Government to be paying twice for older people to travel for nothing doesn’t seem such an attractive idea in the current climate. And then there’s the way in which a PPI would shift subsidy from the rural to the urban – again not so enticing given the electoral base of the coalition. So with the clean-ish slate of a new Government the objectives have changed. They want to see what the main players in this debate (operators and local government) have to say about whether or not better outcomes can be achieved for the BSOG cash – whilst minimising unintended consequences and any de-stabilisation of the industry. In this context PPI could be an answer – but it is no longer the pre-ordained answer. So what are the main players’ in this debate’s opening positions? CPT’s position is that there should be no change. BSOG does the job, it’s simple, straight forward and there’s more than enough change going on for operators to deal with as it is. It’s not broke and it doesn’t need fixing. Would operators sign up for a single pot approach? pteg’s position is somewhere in the middle. We believe that it should be possible to find ways of ensuring that BSOG (as opposed to a single pot of all subsidies) is targeted in a smart way in each Met area to meet both PTE and operator aspirations and objectives. However, we would want to do this through a process based on transparency, clear objectives and consultation with operators. For example, if poor punctuality due to lack of bus priority is the main issue for operators in a specific area – why not use some of the BSOG funding to pay for better bus priority measures? This should be a win-win as it would bring down running costs, boost patronage and contribute to bus operators’ bottom line. Other options would include hybrid bus investment, filling gaps in RTI / smartcard reader coverage, or performance or patronage based incentives. Up to and including a local and finely targeted version of PPI. Of course there’s no reason why other LTAs couldn’t also meet the criteria for devolved BSOG – where there is a clear commitment to whatever conditions DfT chose to attach around transparency, consultation and clear objectives. Where local transport authorities can’t – or don’t want to – take on this responsibility then the status quo could prevail. In the coming months we will see how hard the Government wants to push all parties towards a solution that everyone can (just about) live with and which Government can satisfy itself is maximising the benefits from all that increasingly precious public spending. One things for sure though – the ‘no change’ option is now just an option. There’s a period ahead where all sides can try and shape a reasonably consensual solution. The danger is that if we don’t, we will have something done to us. This article first appeared in Coach and Bus Week.